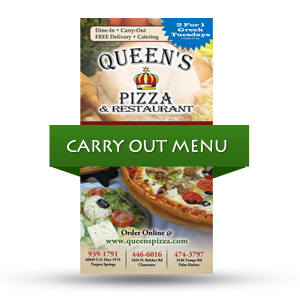 At Queen’s Pizza & Restaurants we have stood the test of time. Since 1978 when Anna proclaimed herself as “Queen” of her kitchen, we have seen many restaurants come and go. These fellow restaurateurs have all believed that in this competitive food service industry their concept is better than the next. We prefer for our food to speak for itself. Today the family continues to move forward with Anna’s high standards of always giving quality. 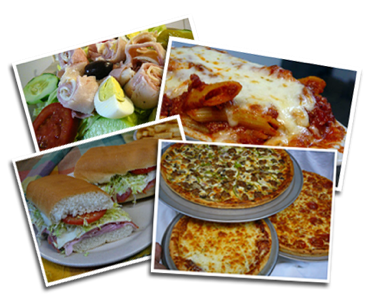 Our homemade recipes are made fresh daily, using only the finest ingredients with no imitations or preservatives. 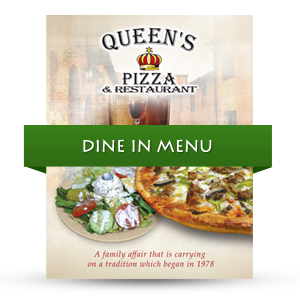 As our family continues thru the next generation at Queen’s Pizza & Restaurant, we promise to continue with the traditions that have been instilled upon us. Thank you for your continued patronage. 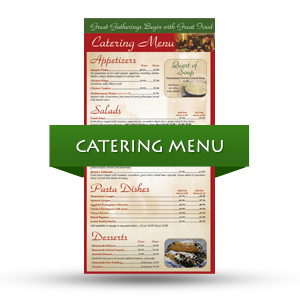 Click on any of the menus below to download.